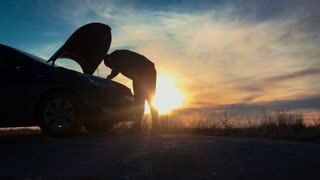 Search Results for "car broken down"
Silhouette man is checking engine bay of the broken down car while sunset. 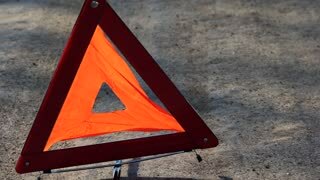 Man with broken down car on side of road. The Man Check The oil. 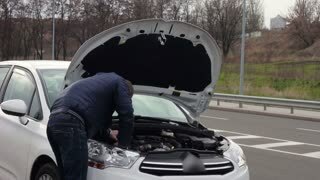 Frustrated woman calling for assistance after car broken down during summer vacation road trip. Desparate female driver with smart phone calling for help while standing near broken car on roadside. 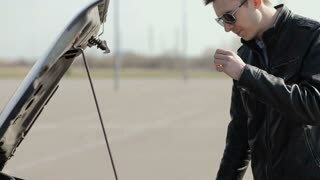 Upset handsome millennial man in casual clothes sitting in car trunk , calling for assistance after his car broken down on road trip in the city. Male driver talking on smart phone in the car. 1940s: Bus drives down highway. Man in road waves down bus. Bus driver steps on brake, drives around car and man. 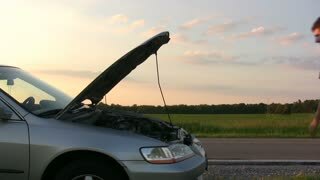 Car broken down on road. Bus drives into city. 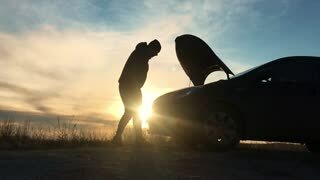 Portrait of distraught male driver talking on cellphone while sitting in open car trunk after vehicle breakdown. 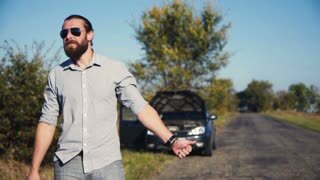 Worried businessman calling for help after his car broken down during road trip.